RIDE OR DIE baby . . . I was drunk, angry, and spoiling for a fight. The crowded bar was the perfect distraction until all hell broke loose. She walked in. My world collapsed. It wasn't supposed to happen like this. I never thought I'd see her again. Rae never should have been there that night . . . but 5 years of regret, loss, and vengeance have waged war inside me, and the sins of our fathers won't stop me from claiming what's mine: Rae Stenson. She's my addiction. I need her. Even if I have to lie, cheat, steal, or kill. Ravage Riders MC #1, first in a series of Sci-Fi Alien Time Travel Romances with a twist. Is there anything sexier than gun toting alpha male bikers . . . who aren't quite human? 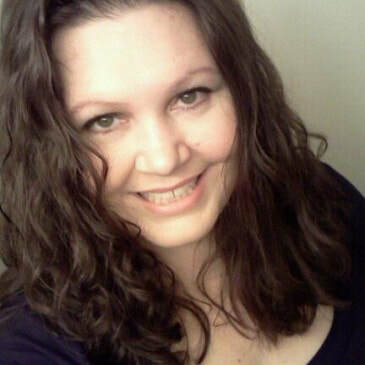 Nikki Landis is the award winning author of over a dozen novels, mostly in the romance genre. She grew up sneaking her mother’s romance novels intrigued with the characters, the stories, and the historical settings from authors that have greatly influenced her writing like Johanna Lindsey, Kathleen E. Woodiwiss, and Bertrice Small. She is also a fan of the classics and adores Jane Austen. Books like The Chronicles of Narnia, The Lord of the Rings, and The Hobbit have shaped and molded her vision of fantasy and inspired it, contributing to her popular series The Fight for Light novels. Nikki holds two degrees, in Dietetics and Nutrition, and her Bachelor of Science in Health Promotion and Wellness. She’s a wife and mother, spending her free time reading, writing, and enjoying the outdoors. Follow the tour HERE for exclusive teasers, excerpts and a giveaway!